If you’re anything like the new business professionals we work with, the struggle is real when it comes to tracking prospect outreach; remembering what you said, whom you spoke with and when to follow up next. 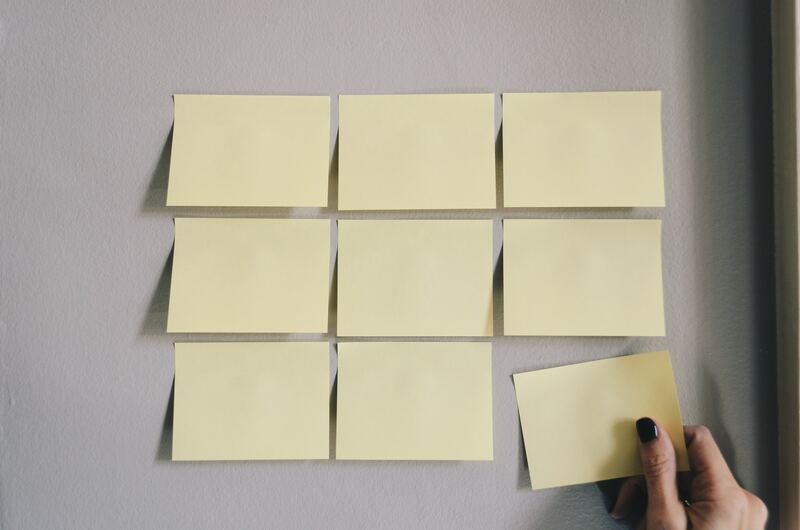 Sticky notes and calendar reminders just don’t seem to cut it, and that’s why Winmo’s product development team invented Notes. A simple way to record information about prospects and clients right in their Winmo profile, Notes helps you track outreach – like the details of past conversations – and even set reminders, so you don’t forget that follow up call you need to make next month. From any profile (company, brand, agency or contact) in Winmo, just click the Add Note button on the bottom right. From there, you can record any information you’d like to remember – even set an optional reminder date. What happens next? The note will post to the associated profile in Winmo, and be available when you click My Notes on the side rail. Best of all, you can set an optional reminder date to trigger an email alert. Especially if you don’t have a CRM, but even if you do, you can use Winmo’s Notes feature to stay organized and keep track of all those pesky details that you can never seem to find when you need them. 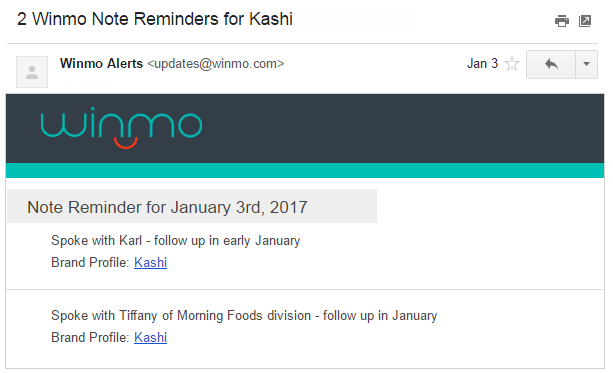 If you’re a Winmo customer, you’re already set to begin using Notes in your account! Just log in, navigate to a prospect profile and click on the +Note button on the bottom right of a page. Not a customer yet? If you’ve been looking for an efficient way to generate leads with top brand marketers and their agencies, there’s never been a better time to take Winmo for a spin. Request a trial to test out our sales intelligence.